We’ve had a busy few months on the farm (more on that in another blog post soon when we get time to draw breath!) and we’ve had a lot of exciting news and media coverage lately. 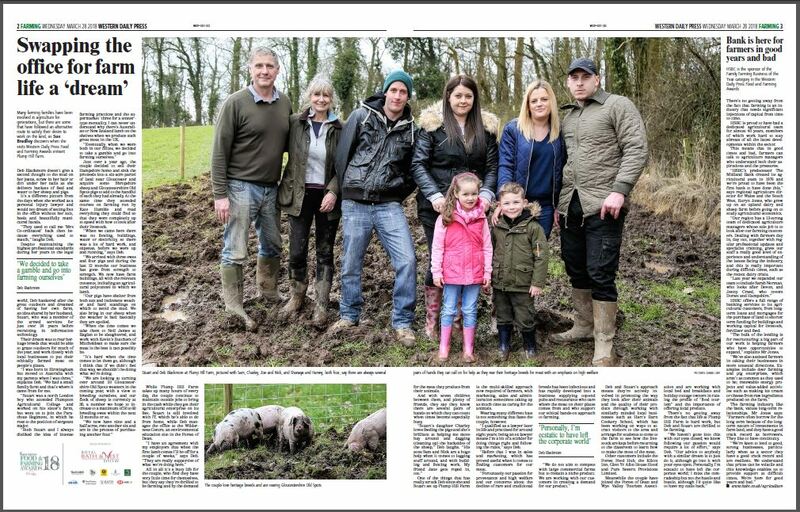 We’re so proud to announce that we were nominated as Finalists in the Western Daily Press Food & Farming Awards 2018 in the Family Farming Business of the Year category. We didn’t win this time but we were so chuffed to be recognised and nominated by our wonderful customers. Thank you for voting for us! The Awards, now in their fourth year, celebrate all that is good and great about farming and food in Somerset, Gloucestershire, Dorset, Wiltshire, Herefordshire and Devon – so we feel very proud to be picked out against so many fellow family farmers. And we also got a visit from WyeDean Deli Confidential who wrote up a lovely feature on us and what we do. You‘ll be surprised how many premium products in Britain‘s top shops originate from the Royal Forest of Dean & Wye Valley. There is a reason why we have always been good at food and drink. 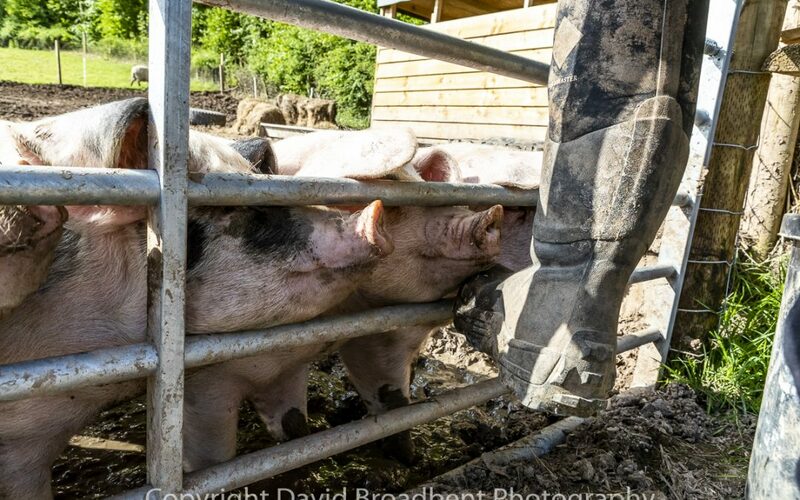 Think about why Gloucester Old Spot pigs make the finest sausage and bacon. Gloucester and Double Gloucester cheeses are heritage food icons. Why there is a fine and age old tradition in cider and Perry making in traditional orchards long since disappeared in other areas? It‘s because our finest Gloucester cattle and other heritage breeds as well as wild boar and venison in abundance, all benefit from this most pastoral of counties situated in an area of outstanding natural beauty. And, despite all this it‘s still regarded as a hidden gem on the tourist trail.